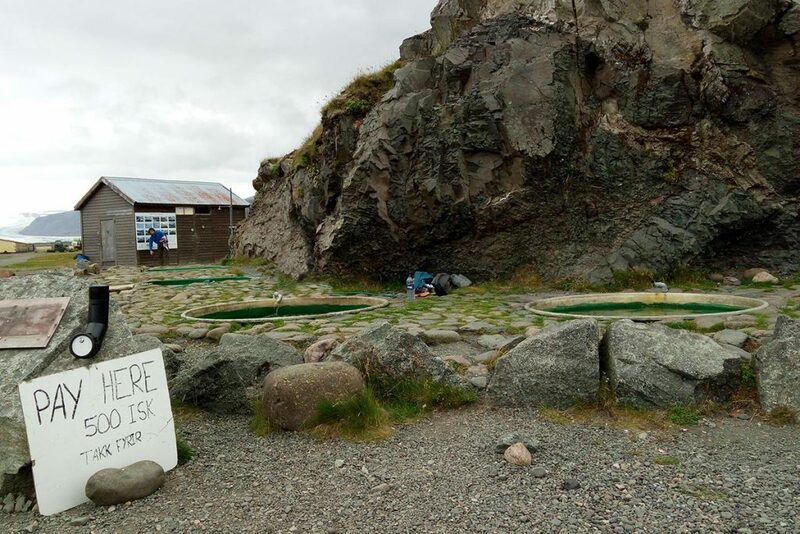 Close to the town of Höfn next to the Glacier House pension, there you can find and use hot tubs (until 10 p.m.). Nowadays, there is a ‘reception’ and the fee is 1000 ISK/pp. You can find Hoffel hot tubs approx. 10 km north of Höfn. Just turn off the Ring Road and take the road nr. 984 here (GPS: 64.372794, -15.297734). Go straight to the Y junction, take the left turn and after few hundred meters you can see the parking lot. GPS coordinates of Hoffel thermal tubs: 64.392523, -15.343255 Take me there!